I saved these images of Milly’s NY boutique via Matchbook Mag a while back and never posted. How gorgeous is it though? Really busy wallpaper isn’t really my thing but I love this above. So Parisian-esque and I can envision it in a lady’s DRESSING ROOM or POWDER ROOM. Those are the areas where you can really go crazy bold because you don’t spend tons of time in them. 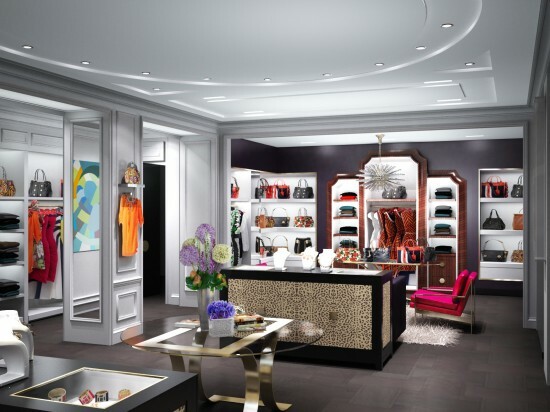 Back to the boutique’s interior, it’s complete luxe and glam. 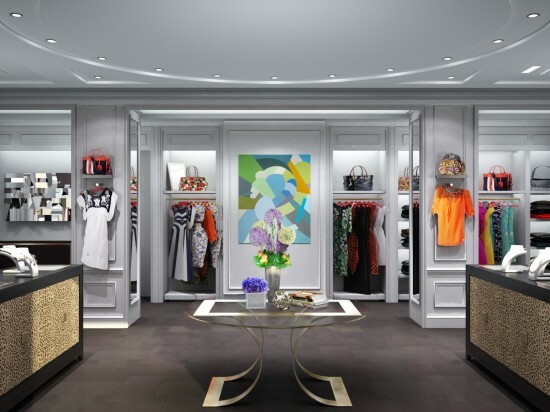 Filled with feminine and geometric wallpaper patterns, crystal chandeliers, moldings, animal prints, gold finishes, mirrored tables, plush magenta and plum hued sofas and chairs, some of which are TUFTED. Just tons of fabulousness. She even sells kids clothes. Look at this pic I found on her site.